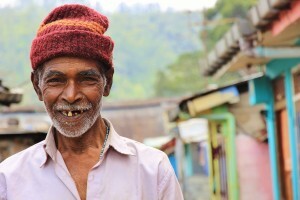 August 2016, Nuwara Eliya District, Sri Lanka. Following the signing of the agreement with the Government of India in June 2016, UN-Habitat has commenced a number of key project activities of the “Indian Housing Project in Central and Uva Provinces” in Nuwara Eliya district. UN-Habitat is currently implementing this project in two estates in Nuwara Eliya district – Diyagama and Dunsinane with the aim of constructing houses for estate worker families who are currently residing in line rooms. The overall project will involve the construction of 4,000 houses through an innovative community-driven model involving the Estate Workers Housing Cooperative Societies and beneficiary families currently living in line rooms. Over the next two years, approximately $30 million funding will be provided by the Government of India for this project. Working in close collaboration with project partners, suitable locations have been identified to construct new houses for beneficiary families. Individual plots have been demarcated in the estates by the Regional Plantation Companies. Focus Group Discussions were conducted recently by UN-Habitat in the estates to understand the needs and aspirations of beneficiary families on the basic services and facilities needed in the new settlements. The Ministry of Hill Country New Villages, Infrastructure and Community Development, the Regional Plantation Companies and The Plantation Human Development Trust (PHDT) are working closely with UN-Habitat to implement the project activities. Housing construction activities are scheduled to commence later this year, following a comprehensive grievance redress process where families can seek clarifications on the selection process. The Project, aimed at constructing 4,000 housing units in the Central and Uva Provinces of Sri Lanka, is part of the overall commitment to construct 50,000 houses by the Government of India. The Project aims to contribute to the sustainable resettlement of plantation worker families in newly created cluster villages or small townships. Four implementing agencies – UN-Habitat, the International Federation for the Red Cross and Red Crescent Societies with Sri Lanka Red Cross, Habitat for Humanity and the National Housing Development Authority have been selected to implement this project, in close collaboration with the PHDT, the respective Regional Plantation Companies, Estate Worker Housing Cooperative Societies of the selected tea estates and the communities themselves. Second Set of Houses Constructed through the Indian Housing Project Handed Over to Estate Families in Nuwara Eliya.First Set of Houses Constructed Through the Indian Housing Project in Plantation Areas Handed Over to Estate Families in Nuwara Eliya.“Greening” Plantation Settlements in Nuwara Eliya DistrictConstruction of Permanent Houses for Estate Workers Underway in Nuwara Eliya District with support from the Government of India and UN-HabitatIndian High Commissioner to Sri Lanka Visits UN-Habitat Housing Project Site in Nuwara Eliya DistrictUN-Habitat Commences Housing Project for Estate Workers in Nuwara Eliya District with Indian Government FundingUN-Habitat Signs Agreement with the Government of India to Implement the Indian Housing Project in Sri Lanka’s Central and Uva ProvincesOfficial Launch of the Plantation Housing Project in Sri Lanka’s Central and Uva Provinces.